Let the binge-watching begin! Joe's on "Gilmore Girls!" Back in March, I auditioned for a role on the Netflix series "Gilmore Girls: A Year in the Life." A few days later, I was shooting and, well, eight months later, it is finally here!! I know that numerous people are binge-watching as I type this! I had a wonderful time playing with Tony award-winning actors Sutton Foster and Christian Borle! So much fun, in fact, that I took a bunch of behind-the-scenes pics that you can view by clicking HERE or by clicking on the above pic! I was so inspired by these singers that, if you're in LA, I have a singing recital next Thursday, Dec 1st! Come out and hear me SING! 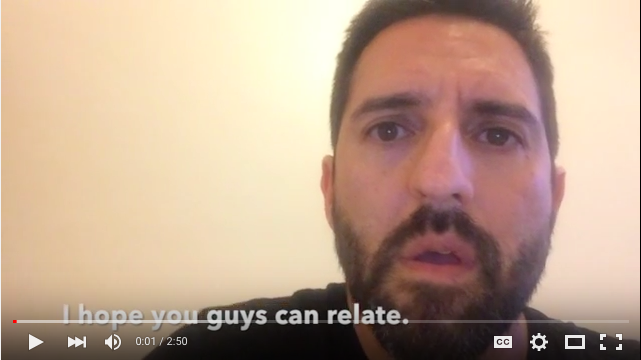 And below are a few links to some comedy shorts along with a great interview series that Princeton conducted with alumni. I hope that you're doing well, staying positive and continuing to move in that direction! I enjoyed this interview A LOT. We got pretty deep. There's a chance that you may have not seen this comedy short and I'm very proud of it. I made with the talented Peter Alton and Benjamin Byron Davis. 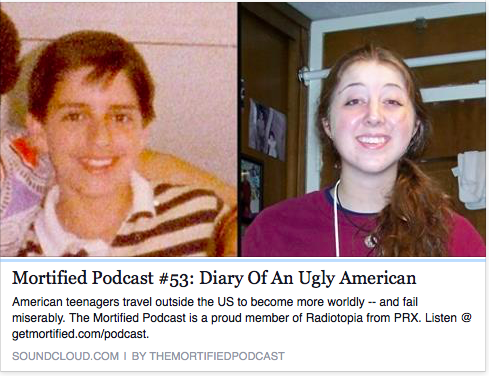 Mortified Podcast #53: "Diary of an Ugly American"
This is always a fun show. If you've never seen it live, there are shows all over the country! The founders, Neil Katcher and David Nadelberg, are awesome! I'm embarrassed. I made a bad decision. Newer PostDo ya need a laugh?